Silver Britannia coins have been minted by the Royal Mint since 1997. 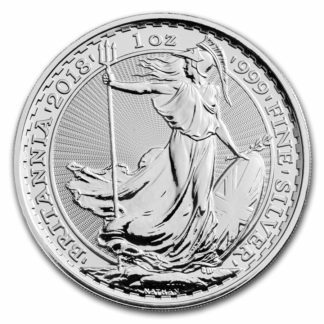 From 1998, and during all subsequent even-numbered years, the Silver Britannia features a standing Britannia figure. Then, in 1999 and all subsequent odd-numbered years, a number of non-repeating designs of Britannia were featured. Finally, in 2013, Proof Britannia’s were produced with changing designs each year. Non-proof Britannia coins now feature the standing Britannia every year.